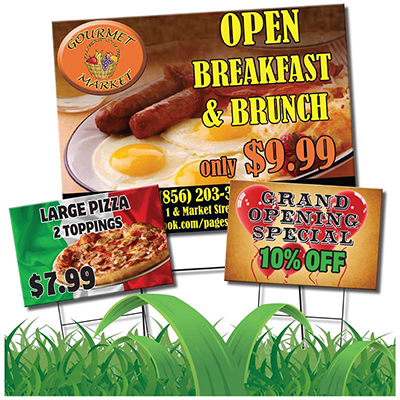 The Menu Express printed Lawn Signs. Lawn signs are everywhere,because they get results. Draw attention from the roadside! Great for pizza shops, contractors, events and campaigns. Use them as many billboards. Call us toll Free at 877-250-2819, to order your Lawn signs today! To request your quote for Lawn Signs, simply complete this form!